According to the Solar Powering Taiwan: Special Report by EnergyTrend, the Capex of PV power systems has been decreasing, due to the drop in module prices caused by massive PV installations. In 1H18, the system costs of PV projects in Taiwan have been decreasing, approaching the level in Germany, Italy and the Netherlands. EnergyTrend expects the system costs to drop further in the second half of this year, which may motivate companies to make investments. 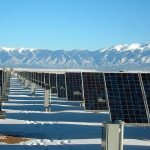 EnergyTrend notes that PV power systems involve low and controllable risk, with the capability for the generation of cash flow. The risks can be managed effectively with qualified EPCs and Insurers, who can also help with the maintenance of steady cash flow, via their understanding of system design and effective management of sites. Therefore, finance is also one of the main growth drivers for the development of PV power. 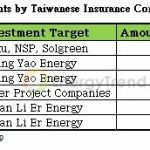 As for the cost structure, the installations in Taiwan were limited to rooftop PV power systems in the early stages, and it was not until 2017 when ground-mounted PV power plants were permitted at a massive scale. Hence, there have been common standards for the structure and costs of rooftop models after years of usage. For roof-top corrugated aluminum mounting systems, the cost share of modules has declined from 48% to 40% between 2017 and 2018, when the share of inverters has also slipped from 11% to 6% in 2018 as the Chinese inverter brands forayed into the Taiwanese market, causing price competition in the market. The module shipment volume of NSP topped the Taiwan market, surpassing that of AUO in the first half of this year. With high reputation and wide market recognition, AUO and NSP are now the two foremost suppliers in Taiwan. Going forward to 2019, the market situation remains to be seen, as the existing domestic module makers are scrambling to tap the market’s huge potential. This includes TSMMC, the newly established joint venture, TSEC which has set up a new module fab in Pingtung County, as well as Neo Solar Power, Gintech, and Solartech, which will merge into United Renewable Energy Co., Ltd.in October 2018. While 70% of the issues during the construction of PV power systems is related to foundation, inverter issues contribute to 70% of the problems after the construction. Therefore, how to provide after-sales maintenance and repair service has been a major consideration in the marketing strategy of inverter brands. In Taiwan, Delta, Satcon, and SMA take the first three places in the inverter shipments for 1H18, with long history maintenance and repair centers in Taiwan to make it easier to provide after services. Particularly, 40% of the market share is secured by Taiwan’s leading inverter supplier Delta. For more information about the shipment of PV modules and inverters in Taiwan, please refer to Solar Powering Taiwan: Special Report.